To encourage the use of open government data to create useful applications for small businesses, developers around the United States recently came together for a National Day of Civic Hacking. nclud participated in the event by sending Ramsay Lanier and me to the Hack For Change event in Washington, D.C.
Of the many APIs to choose from, we pulled data from the U.S. Census Bureau, powered by CitySDK, to develop a tool that visualizes demographic data to inform small business owners on locations to start or to expand a business. The initial goal was to parse several data sets and make demographic selections available to the user. With only four hours to develop a working prototype, we simplified our demo by visualizing the gender gap in employment for five different industries, including computer engineering, mathematics, architecture, art/design/entertainment, and law enforcement on a map of the United States. A user can filter by industry and by year (back to 2011) where data was available. A further developed tool could display more localized data, and filter areas that have a high concentration of certain populations or demographics, such as Hispanic females between the ages of 25–34 with a median income over $60,000. The possibilities are growing as the Census Bureau and CitySDK make more data open and available via APIs. 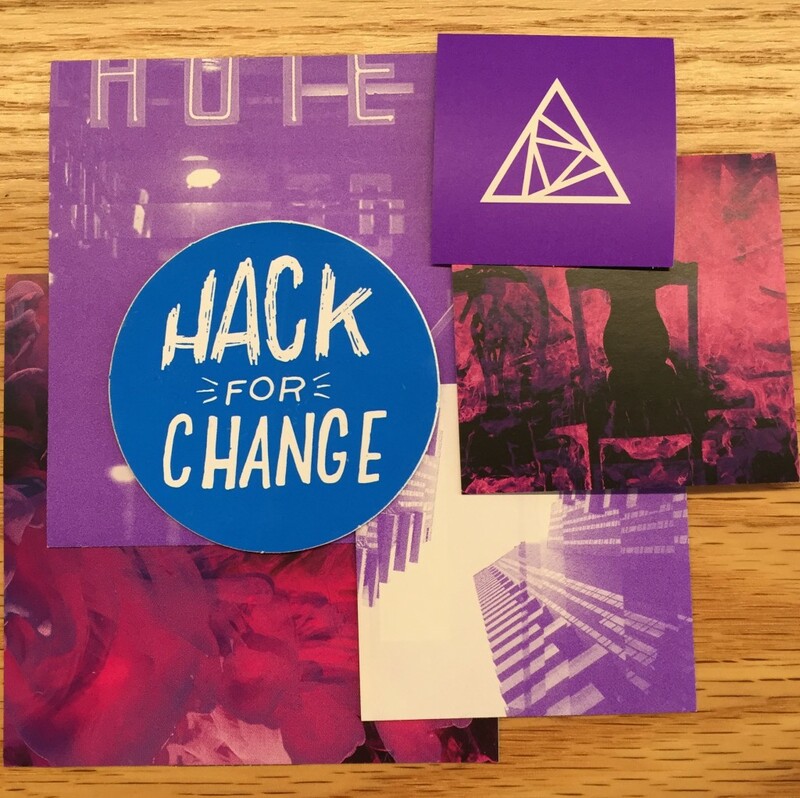 CitySDK is an open source project backed by the U.S. Census Bureau aimed at helping civic hackers develop open data tools for communities around the country. At the hackathon, our Gender Disparity Map was recognized for its use of CitySDK, and we were awarded an opportunity to meet with Avi Bender, CTO of the Census Bureau. After demoing our prototype for Mr. Bender a few weeks later, Ramsay and I were happy to learn about the U.S. Census Bureau’s commitment to open data and civic hacking. Mr. Bender and his team shared several projects with us, including Young Adults Then and Now, a highly interactive online app that visualizes changes for young adults over the last four decades. We are looking forward to working with the U.S. Census Bureau again in the future, and hope to continue representing nclud at hackathons. The National Day of Civic Hacking DC was presented with partnerships from CHIEF, GovLoop, e-Management, Fosterly, DC’s Department of Small and Local Business Development, Microsoft, OpenIDEO DC, and General Assembly. 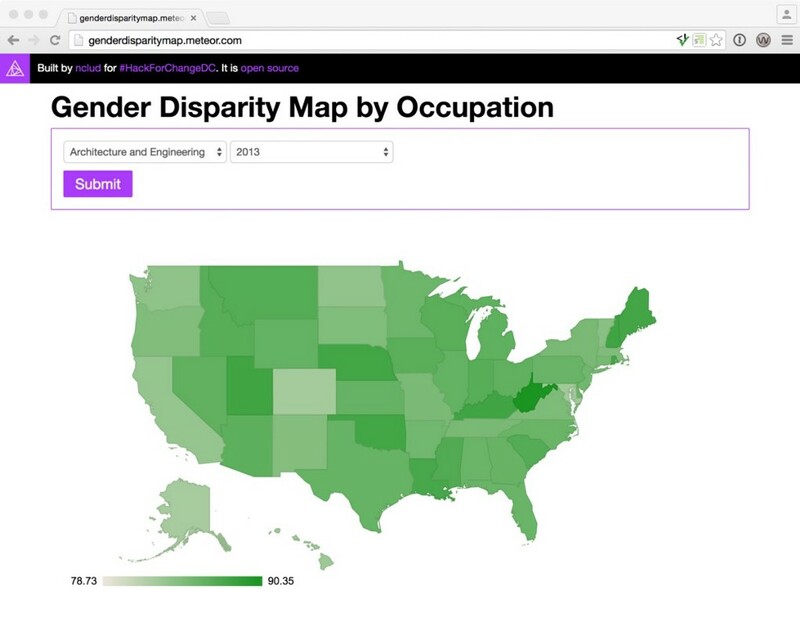 View the Gender Disparity Map and source code.